There is an old attorney adage that states: “If you have the law on your side, argue the law; if you have the facts, argue the facts; if you have neither, pound the table.” The highly misleading TV editorial by KSBW’s conservative station manager JW Heston that aired during MLK weekend is his pounding on the table, but with words I never said. However, I never stated any such things. I never mentioned “race” or “ethnicity” nor did I state anyone being “white.” It was completely invented by Heston. I was taken aback as I have never seen a TV station manager ever do something so biased and reckless in all my years in politics. In my tweets, I was referring to immigration status, not ethnicity or race. But Heston doesn’t seem to know the difference. In his editorial, he never rebuts the law and facts I challenged him on, including a fact -heck article by the Sacramento Bee that I sent him. The article affirms that California’s sanctuary state law only went into effect in 2018 and did not apply to the tragic death of Officer Singh. I did call Heston out for cherry picking facts and not mentioning the other recent high profile tragic deaths of our fallen officers, such as Davis Police Officer Natalie Corona, and the numerous mass shootings by U.S. citizens. I also urged him to consult legal experts next time. Throughout my career, I have strongly supported our dedicated police and other public safety officers. I have also denounced those who commit serious crimes and have called for them to held responsible under both criminal and immigration law. But Heston is again oblivious to these facts. Last Saturday, I requested equal airtime to provide my rebuttal and to provide the audience the facts about what I did and didn’t say. However, Heston refused. He wrote: “You said what you said; we have said what we said. The audience said what they said. We move on to the next Editorial. Our editorial space is for the weekly opinion we offer; your Twitter and other social media space is your space.” However, KSBW’s audience deserves to get both sides on the air, but Heston seems afraid to let me rebut his false statements. In my comments, I did state that Heston “revealed himself as a Trump racist” in response to his loaded rhetoric against sanctuary state laws, which is exactly the same as President Trump’s and is similarly misinformed. Heston fails to recognize that California’s sanctuary state law allows cooperation with ICE for a long list of serious crimes. I urged him to read the statute as he also seemed oblivious about this or didn’t bother to point that out at all. Heston also resorted to his old played-out political attacks and again called me a “carpet bagger” despite that I’ve lived in Monterey County for over 3 years, represented this county for 6 more in the State Assembly and worked here for 4 years prior to that as a staff attorney for the Monterey County Superior Court. Moreover, my family first came to live in Monterey County as migrant farmworkers starting in the 1950s. Although I love my hometown of Watsonville, Salinas is now my home and I love being an effective champion for my constituents. When I checked on Heston’s past attack editorials against me, I realized there have been five in less than two years. That’s an unusually high number against any elected official. But again, when Heston cannot argue the substance of law and fact, he instead pounds on the table with political, personal and false attacks. And that’s a shame. 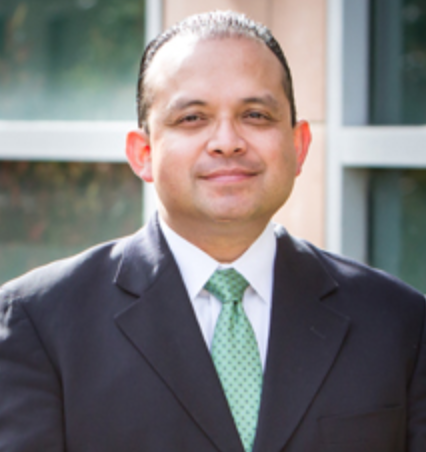 Luis A. Alejo is a Monterey County supervisor and represents District 1, which covers most of Salinas. Luis, you should not be surprised at Mr Heston’s style of playing fast & lose with the facts. He rarely is on the right side of Any issue. Remember: KSBW is our own, home-grown version of Fox News; for some reason, the Fox News logo is missing from the lower-left portion of the screen. However, they seem to be dedicated to every Right Wing Conservative cause. Luis, I see plenty of pro-illegal immigration fanaticism lately in the California State Legislature to more than make up for Heston’s right-wing views on the topic. But his editorials don’t affect our lives unlike the policies coming out of Sacramento…it’s getting out of hand and I don’t think average Californians like the direction we’re headed in on illegal immigration as much as you think they do. Should we expect to see California politicians put forth an “Abolish ICE” bill anytime soon? More benefits and entitlements for the undocumented that state politicians would never extend to taxpaying citizens and legal residents? Heston’s strong views are simply a reaction to the zealotry we are seeing from state legislators on any and all immigration these days. I think it is highly irresponsible for Joe Heston to air his editorials with out making sure they are factual. Also, veiled personal attacks do not belong in a editorial. They should serve some”public good”. Sure, he is the “Station Manager” but so what? He does not speak for all KSBW employees. It is the station I watch and I have long grown tired of his self aggrandizing spewing.